Our Theatre Arts team opened the doors of the first Middlesex University Edinburgh pop-up venue today (5 August), Theatre Arts Exchange or Fringe Venue 116a. After an exclusive launch event for invited industry guests, the team welcome Fringe audiences to the opening matinee performance of quirky comedy Just Janet and playful drama The Haberdasher this evening. Following months of careful planning and an intense rehearsal period, Theatre Arts Exchange will present 122 performances, ranging from Shakespeare to a socialist magician, all showcasing the department’s signature dedication to nurturing creativity from the ground up. The hard work behind the scenes, including front of house duties and the all-important hand-to-hand promotion on Edinburgh’s infamous Royal Mile will be undertaken by current BA and MA Theatre Arts students with the support of their tutors. Speaking about the eclectic programme, Theatre Arts Director of Programmes Nicola Stammers (above centre) said: “Our programme is wide, varied and dynamic, and really reflects all of theatre’s many possibilities. The pop-up venue, a flexible gallery space on Gayfield Square, is as quirky as the programme and just a ten-minute walk from the centre of Edinburgh. 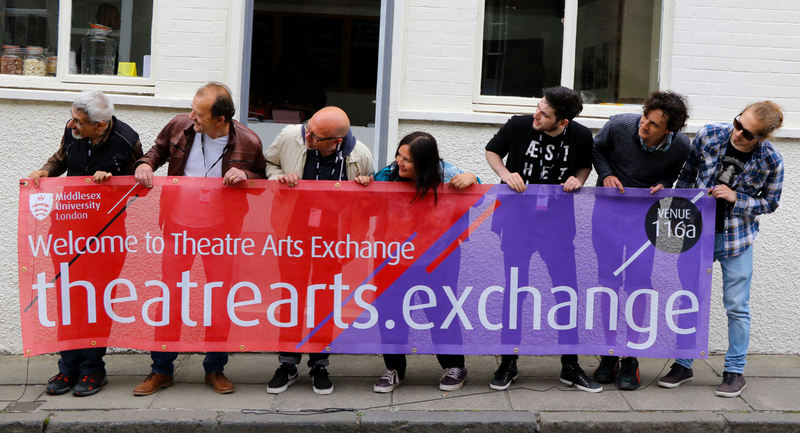 To book your tickets to any of the Theatre Arts Exchange performances this August visit the theatrearts.exchange website or drop in to the venue in Edinburgh.